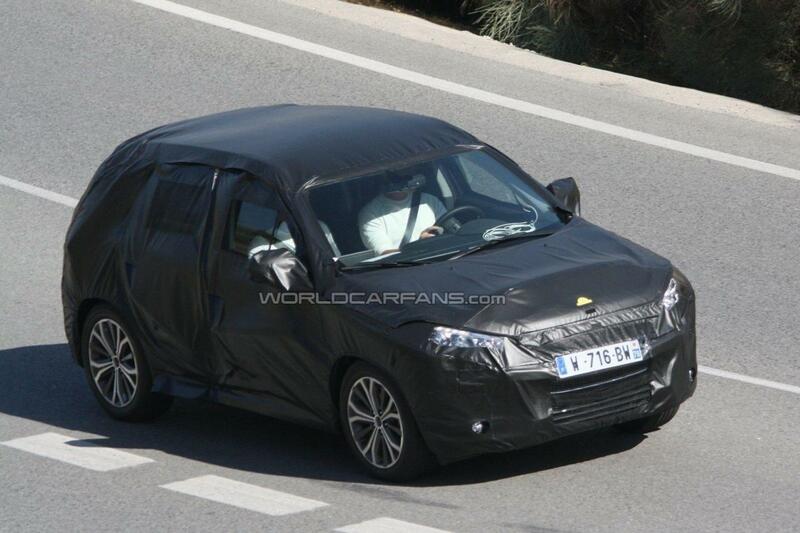 Spy shooters in Southern Spain have caught the first prototypes of the upcoming Peugeot 2008 and Citroën 'B-SUV'/Crossback compact SUV's. 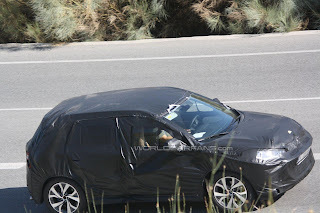 The twins were spied rolling along the mountains between Granada and Sierra Nevada, undergoing hot-weather and chassis testing. The newcomers will be part of a joined venture between the PSA Group (Peugeot-Citroën) and Mitsubishi, following the success of the Peugeot 4007, Citroën C-Crosser, and Mitsubishi Outlander, allowing PSA an entrant into the rapidly expanding compact SUV market, which is expected to grow about 60% within the next few years. 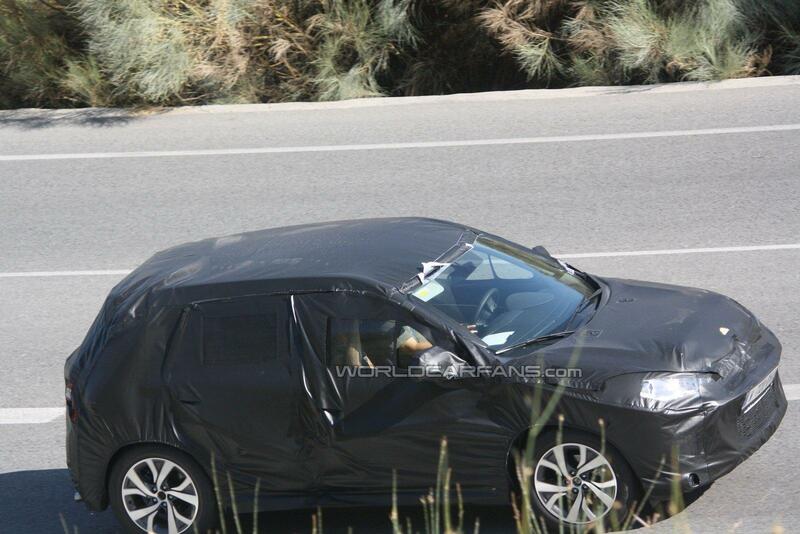 headlamps and longer rear white light cluster. 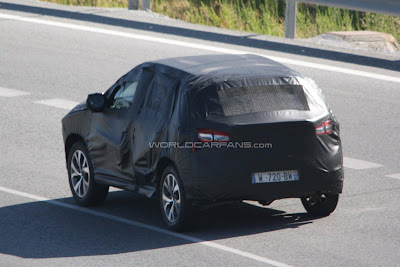 Like those, the French pair will underpin the ASX (RVR in Japan and Outlander Sport in U.S) compact SUV and take on the ever-popular Nissan Qashqai, Škoda Yeti, Mitsubishi ASX, and the forthcoming GM compact SUV. Power will come from two 1.6 litre engines; a 1.6 HDi and 1.6 litre VTi petrol, both in front-wheel-drive or four-wheel-drive. The duo will bow at the 2012 Paris motor show before going on sale in Spring 2013, with sales figures of 50,000 units combined within the first year.